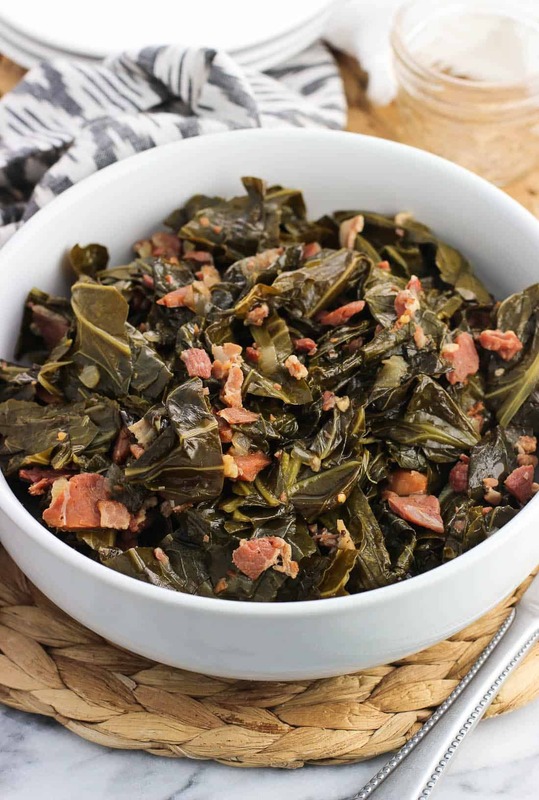 Instant Pot collard greens are a Southern-inspired side dish made much quicker in an electric pressure cooker. These Southern greens have a ton of flavor from bacon and ham, and you’ll want to drizzle the cooking liquid on everything! 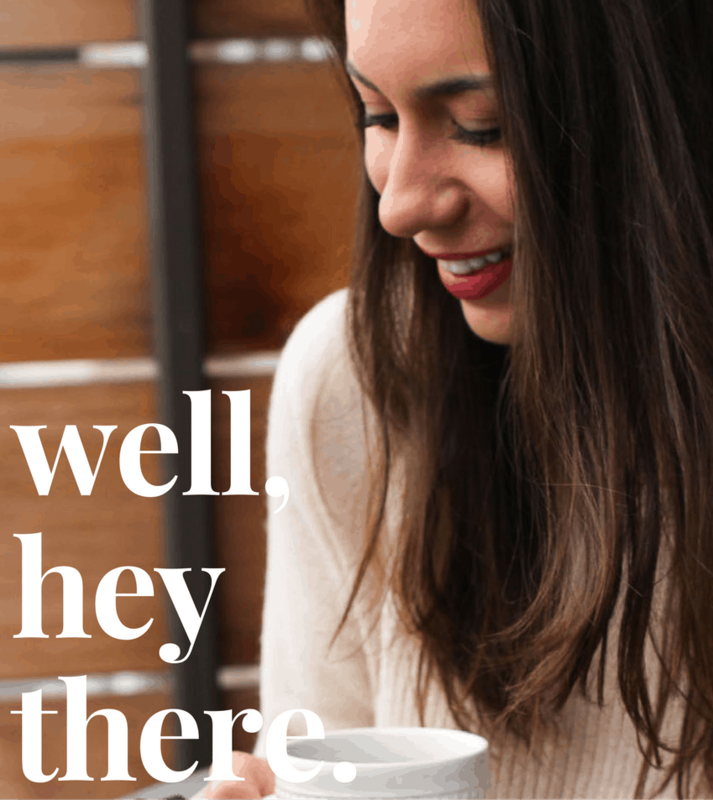 Now I don’t like to keep secrets from you, but I’ve been playing with an Instant Pot for awhile now behind the blog scenes. I’m not an ‘early adopter’ by nature, so it took months of seeing Instant Pot recipe after Instant Pot recipe on social media before I worked up the courage to dive on in myself. After studying the user manual and the work process flow chart (not super helpful) and watching a few YouTube set-up tutorials (much more helpful! ), I crossed my fingers and pressure cooked for the first time ever. Succ-ess. Remind me again what I was nervous about? Though it obviously didn’t come as a surprise, I was still wowed at how quickly a big chuck roast became perfectly shreddable. Just an hour of cooking time! 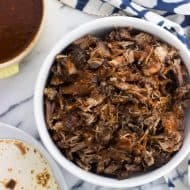 While my slow cooker is definitely not going anywhere, the same chuck roast I use in this slow cooker shredded beef takes eight-ish hours on high heat in the slow cooker. Hello, time saver Instant Pot. With this idea in mind, I wanted to see about adapting other longer cooking favorites, starting with this Southern Instant Pot collard greens. Now I’m probably taking advantage of how prevalent Southern greens are on the menu at restaurants all over Nashville and Asheville (another city we visit frequently). I certainly didn’t eat them when I lived up north or out west. But they’re my favorite side dish to order alongside hot chicken, BBQ, or any other Southern-inspired dish. 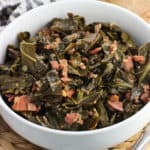 Tender collard or turnip greens are cooked with a bit of meat, sometimes bacon and/or country ham (more on country ham later), in an AMAZING savory cooking liquid. This cooking liquid is called ‘pot liquor’, which sounds intimidating but is actually a combination of water/broth, apple cider vinegar, brown sugar, and spices. I’m willing to bet that even the leafy green vegetable haters in your life wouldn’t be able to pass up these Southern Instant Pot collard greens. 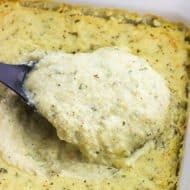 This recipe is adapted from the Southern greens side dish at The Loveless Cafe, which were probably the first Southern greens I’d ever eaten. 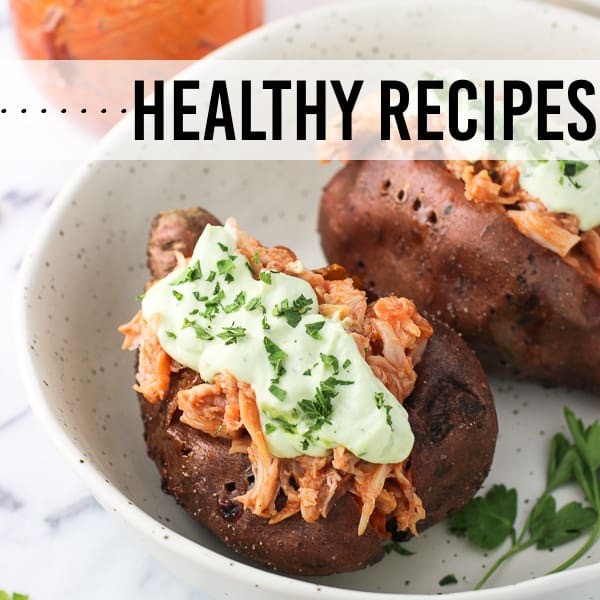 It was to my surprise when I went on their website in the hopes of learning if they use collard or turnip greens that, upon clicking their picture, the full recipe appeared. I made a few changes, notably using the Instant Pot for five minutes of cooking time instead of simmering on the stovetop for hours. I also used much less liquid, and went with collard greens instead of turnip greens. Either would work, however collard greens are easier to find in the grocery store (at least in my experience). What’s country ham? Believe me, I had to Google because I had no clue. It’s a salt-cured ham that I found uncooked, cut into small slices, and vacuum-sealed. Once removed from the package, I roughly chopped it as I did with the uncooked bacon slices. The chopped country ham should be relatively similar in thickness to the bacon, so I cooked them together on the saute function. I got my country ham at my usual grocery store, though that may be because I live in country ham territory. If you can’t find it, double the bacon and omit the country ham. You can use turnip greens if you prefer, or even kale (though I haven’t tested it with kale update: it works great with kale). 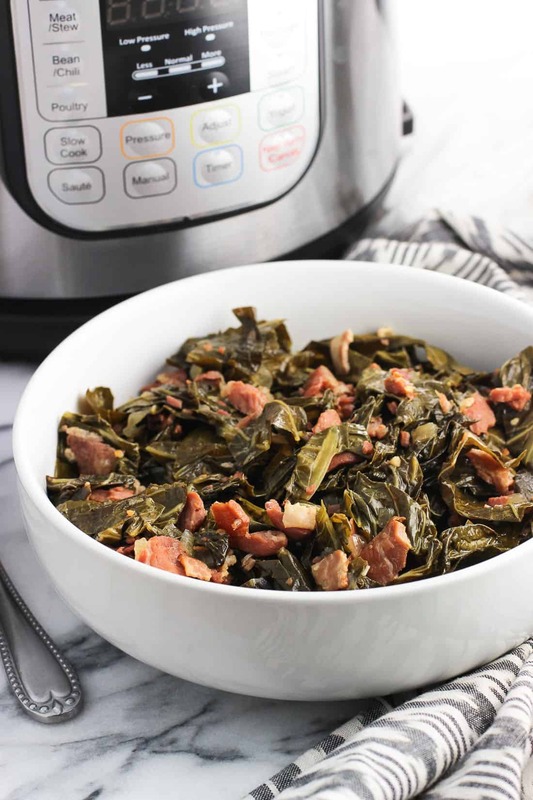 This Southern Instant Pot collard greens recipe was made and tested with the 6-quart Instant Pot (affiliate link). Be sure to deglaze the pan with a bit of the broth after sautéing the bacon/country ham/onion mixture, as written in the recipe below. The stuck on bits will come up from the bottom of the pot very easily. This helps to prevent the “burn” message you might have read about, which displays when the food at the bottom of the pot is too hot/overcooked. Rinse collard greens very well. Remove the thick center stem and roughly chop them into large bite-sized pieces. Add olive oil to the Instant Pot. Press the "Saute" button, leaving the lid off. Once the oil has heated, add the chopped bacon and country ham. Saute for 4-5 minutes, and then add the chopped onion. Stir everything around periodically (there still may be sticking to the bottom of the pot). Once the bacon and country ham has cooked and the onion has become golden, deglaze the pot with about one-third cup of the chicken broth (amount doesn't need to be precise). Using a wooden spoon, scrape up the stuck-on bits from the bottom of the pot and stir. Add the rest of the chicken broth, apple cider vinegar, brown sugar, and crushed red pepper flakes and stir to combine. Add the chopped collard greens to the Instant Pot and pack them in well. Press the "Keep Warm/Cancel" button to shut off the Saute function. You want to allow for adequate space in the Instant Pot before cooking with pressure, so I paused for a minute or two at this point to allow for some of the collard greens to reduce in size before proceeding. Packed in, aim for the Instant Pot to be about two-thirds full. Close and lock lid. Ensure the pressure release valve is set to "sealing". Press the "Manual" button. Then using the down button, reduce the cooking time to 5 minutes. The Instant Pot will take a few minutes to pressurize, during which you may hear a little hissing noise once it's almost there. Then "5" minutes will appear on the display, which will count down until it's done. 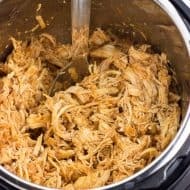 At this point you can allow the Instant Pot to naturally pressure release, or do the quick release. Do whichever one you're comfortable with. Natural pressure release for this recipe took about 20 minutes for me, and I didn't find the greens to be mushy or overdone at all. Once the pressure is released, carefully remove the lid and stir everything up. Serve while warm. For a time-saving shortcut, you can use bagged collard greens. You’re so welcome, Nicole! I’m glad you liked them!! 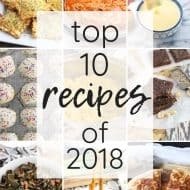 We’ve made these 3 times and love them! So delicious without smelling up the whole house all day. We can’t get country ham here (Colorado) that I’ve ever seen so we use a ham hock instead. These are absolutely the best greens I have ever made or tasted. And, I’ve had a lot. I didn’t change a thing just doubled it. Cooked the same amount of time. This recipe is a keeper. Everyone that tries it wants the recipe. Thanks! Absolutely the best I’ve ever made !!! I didn’t add half of what’s in the recipe, but I did cook for 5 minutes and the texture was perfect. Thanks! Glad you liked it, Pamela! These were just like my mother fixed but faster! Loved this recipe. Thank you! You’re so welcome, Sara. Glad you like them! I added a half cup of straight bourbon in mine with the brown sugar, my homemade Haitian spice and good lort!! (Yes, I said lort!) Those were some gooood greens! I LOVE my Instapot! Great recipe. What are the Haitian spices please? 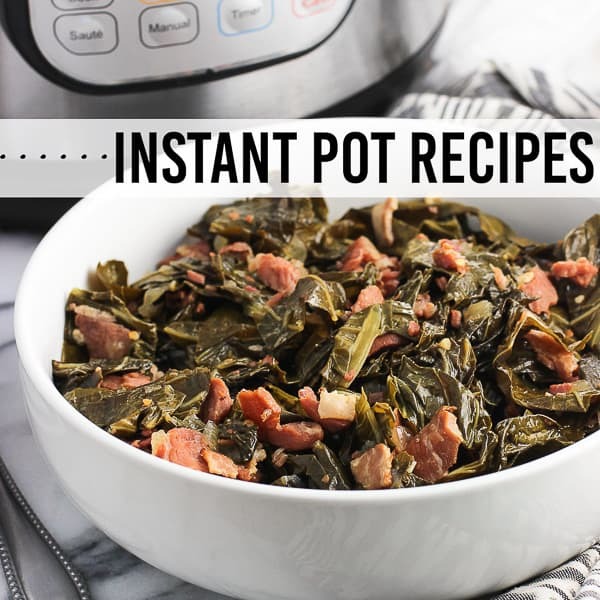 I came across your recipe when I searched “How much time is needed to collards in an instant pot”. 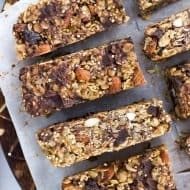 I made my first batch last week, delicious but they were over-cooked at 20 minutes on high. Most recipes in my search said 20-25 minutes but yours says 5 after the sautee. I was going to go for 10 but willing to try the 5 you’ve suggested. I like them tender but not mushy. Thoughts? Hi Dean, 5 minutes should do the trick. I know it sounds like barely any time but the Instant Pot makes quick work of them. I’ve made these many times now and have always found them to be tender, never mushy. I usually let the pressure release naturally as I’m finishing up the rest of dinner, and even leftover portions still have the same great texture. I hope that’s helpful! This is my second time using the instant Pot, what a time saver. 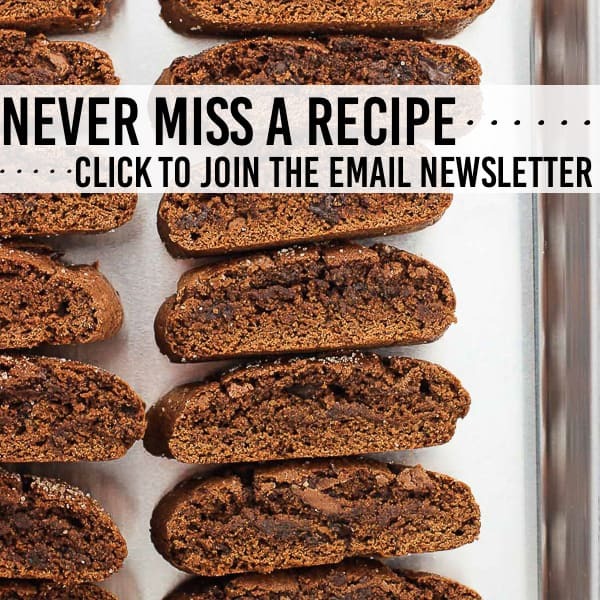 I love this recipe, thanks sooo much! From a true Southern girl, these are the best greens I have ever had. Just the right amount of sweetness and heat. I had some left over greens from a black eyed pea stew I made for NY and this recipe was the perfect way to use them! I only had about 2/3 of what the recipe called for but they still turned out great. Will definitely be making these again! This makes me so happy, Megan! Thanks so much for letting me know how they went for you. That stew sounds delicious. Glad these greens worked in no problem! I just made these 30 minutes ago I used a 2 pound bag already pre washed and cut up from Walmart and they are fantastic !! Love using pre-washed/cut greens…a great shortcut. Glad you liked them! These are the best collards I have ever eaten. Made exactly per recipe with country ham. My husband said these are the best he has ever eaten also. Perfectly cooked. This is a keeper. 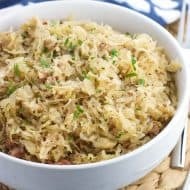 I just got my Instant Pot for Christmas and this is my second recipe. Made chicken tetrazinni yesterday and it was wonderful also. Yay! So glad you like them, and that cooking in your Instant Pot is off to a great start. It’s definitely an appliance I use more and more as time goes on. So helpful! If I am using the bagged collards do I need to cut them or do anything to them like soak etc? Hi Jessi, the only thing I would do if the bag doesn’t say it is to rinse them, though the bagged kind I have in my fridge right now says that it’s triple-washed already. You also shouldn’t have to cut them as the bagged collards are already chopped a bit. Other than potentially rinsing them if needed, just throw them right in! No soaking needed, etc. Just made this and I will never make collards any other way! Thank you for this recipe, it is definitely a keeper! My adjustments: My pot is a 3 qt, I sauted olive oil, small pat of butter, onions and smoked turkey neck pieces until onions were tender. Removed turkey, added broth, seasonings (tablespoon of ACV, sea salt, ground black pepper, brown sugar), added greens and placed turkey necks on top. Your time was perfect, I used quick release-yummo! Do you think I could throw a smoked turkey leg in the pot? Hi Cassie, that sounds like it would be delicious! If I’m doubling the receipe would this require more time to cook in the instant pot? Hi Tiffany, the same amount of time should work! This is an excellent recipe. I tend to be ruthless about recipes but this is one I printed out and will be making again. I made two very slight changes. One was to use about half the vinegar and the second was that I used a little less than 1/4 th of a cup of boiled cider rather than regular cider because of its greater flavor. So glad you liked it, Jack! Interesting note about the boiled cider. That sounds delicious – I’ll have to give it a try! This recipe was on point! Great flavor, texture, and balance of ingredients. I’ll definitely be making it again. This was really, really good!! Used reserved bacon fat and cubed ham sandwich meat in place of ham, and added dried onions with the liquid instead of fresh. As an 80 year old Southern cook, it is best to cut your greens before you rinse them. Greens of any kind have a lot of sand in them. I rinse my greens at least 3 times to be sure they are clean. Then put in a salad spinner. Takes a little more time, but worth it. That’s a great tip – thank you for sharing! Oh my, these were good! Bravo, I highly recommend. So glad you liked them, Nancy! This is a marvelous recipe as the greens don’t sit right without vinegar and sugar. Modify by adding in quart low sodium chicken stock, authentic jerk seasoning , garlic cut to taste proportionally with jalapeño sans seeds. Instead of meat, save a cow and reduce greenhouse emissions (and your LDL) by using either tofu sausages cut into small pieces or tofu meat crumbles. The mixture can be eaten as a soup (low sodium chicken stock) and is savory sans animal products. Over the years I’ve seen and tried many collard recipes( ham,bacon,hamhock,sugar,vinegar,heart of a cabbage etc) . They’re all good . It all depends on taste. 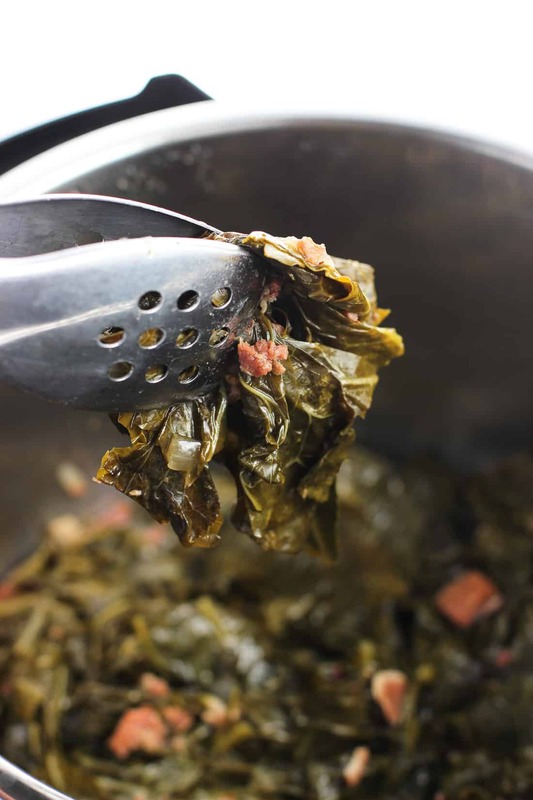 If spicey is what you’re after, try adding a can of Old Glory collards to your fresh batch. It’s not my favorite but ,it’s good. Delicious and healthy. Thanks for the nutritional info! We had collard greens and pork chops for dinner last night, I can’t wait to try making them in the instant pot! And with bacon, YUM! Looks sooooo good!! I am def going to be making these for Easter!! Thanks!